Emed > Cancer > Meat Causes Cancer! Really? The WHO has come to this conclusion based on the advice of its International Agency for Research on Cancer (IARC), which assesses the best available scientific evidence. The IARC consists of a team of 22 experts from 10 countries who worked together to evaluate previous research, considering dozens of types of cancer and factoring in cultural differences in diet. The announcement has naturally resulted in a considerable back lash in the social media community – particularly from lovers of bacon! The hashtags #FreeBacon, #Bacongeddon and #JeSuisBacon were among the top-trending topics worldwide on Twitter for two straight days. Negative tweets outnumbered positive tweets by a ratio of nearly 7 to 1 on Day 1 and 6.5 to 1 on Day 2.
WHO did state however that red meat also had its health benefits. Red meat has nutritional value as it a protein and is also major source of iron, zinc and vitamin B12. It is important to note that WHO is not the first organisation to state that processed meat, and possibly red meat, increases the risk of colorectal cancer. The American Institute for Cancer Research (AICR) and the World Cancer Research Fund have also concluded that eating even small amounts of processed meats on a regular basis can increase colorectal cancer risk. Processed meat is meat that has been modified to either extend its shelf life or change the taste. The main methods of processing meat are smoking, curing and adding salt or preservatives. Is it the Meat or the Chemicals? It is believed that it is the chemicals involved in the processing of meat which could be increasing the risk of cancer. High temperature cooking, such as on a barbeque, can also create carcinogenic chemicals. The mechanism behind the link is still under investigation, but there are a few possible explanations. Firstly , there’s nitrates and nitrites, which are preservatives added to some processed meats and have shown in some research to produce cancer-causing compounds. 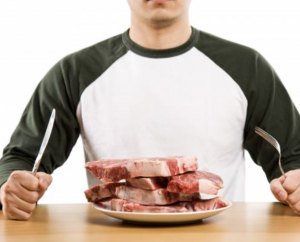 Another possible factor is the smoking process that goes into many processed-meat products. Smoked meats contain Polycyclic Aromatic Hydrocarbons (PAHs), which are compounds that develop at high heat and are considered carcinogenic. PAHs and other chemicals called Heterocyclic amines are formed when meat is cooked over heat and have been found to damage DNA. If a person eats 50 grams of processed meat each day – about two slices of deli meat or one hotdog – they increase their chances of developing colorectal cancer by 18 per cent, the IARC said. 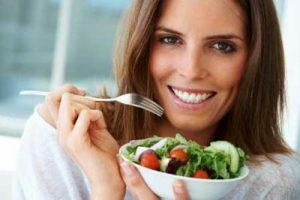 The IARC is not saying that everyone should completely stop eating red or processed meat altogether, but that people should consider limiting their intake. That’s in line with other recommendations that say limiting red meat and eating more plant-based foods (including good quality fibre) can have significant health benefits. Estimates suggest 15,100 deaths from bowel cancer every year may be partially due to diet (high in processed meat ?) in Australia. That is in contrast to a tobacco-related death about every 28 minutes in Australia, adding up to more than 50 deaths each day. There is up to 15 people dying and more than 430 admitted to hospital every day in Australia due to alcohol-related illnesses. “People should limit consumption of red meat and avoid consuming processed meat, but they should also have a diet rich in fibre, from fruit and vegetables and maintain an adequate body weight throughout life and limit the consumption of alcohol and be physically active.” says Dr Teresa Norat, one of the advisors to the WHO report. Somewhat alarmingly WHO has placed processed meat in the same category as plutonium, asbestos (Group 1 carcinogens), but also alcohol and smoking as they definitely do cause cancer. However, this does not mean they are equally dangerous. How could a bacon sandwich be as bad as smoking? The WHO team are at pains to acknowledge that the groupings simply measure the strength of evidence scientists have gathered that something causes cancer, not its potency. “For an individual, the risk of developing colorectal (bowel) cancer because of their consumption of processed meat remains small, but this risk increases with the amount of meat consumed,” Dr Kurt Straif from the WHO said. Dr Teresa Norat said there were many factors causing bowel cancer and consumption of processed and red meat was only one of them. We should not be surprised that the media has widely been alarmist when it comes to the reporting of this report. One of the key points to take away from this is that quality versus quantity is applicable here. Not all meat is created equal. Unadulterated lean red meat offer of high-quality protein, iron and B vitamins. Take the case of consuming a lovely breakfast of the occasional artisan organic bacon versus a daily breakfast of chemical soaked factory bacon. Or the dinner of champions of a large steak and chips with tomato sauce compared to a high fibre salad with a handful portion of marinated beef. The take away message from this report is to limit the intake of processed and red meat and include high fibre, unprocessed, fresh foods high in protein and good fats, such as wild fish, green veggies, raw nuts and seeds, some natural yoghurts, organic eggs, legumes, berries.